If you’re a fan of powersoccer, then you’re going to want to read this new profile on powersoccer player, Shayne De Wildt. 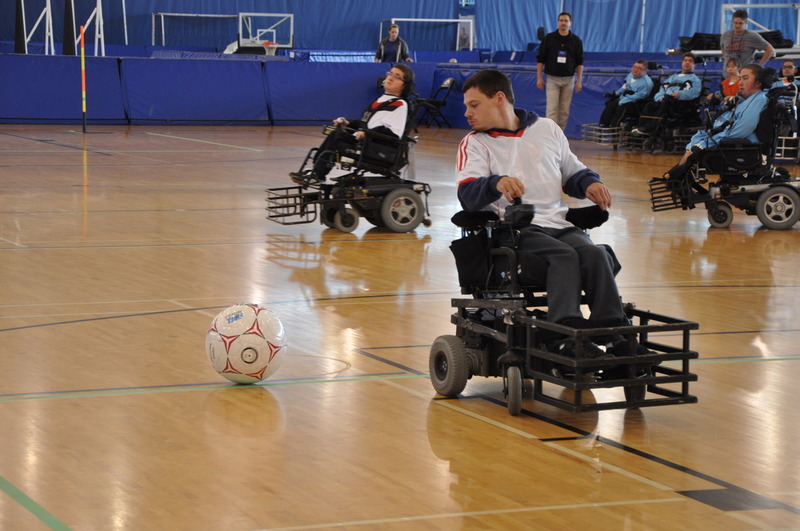 How long have you been playing power wheelchair soccer? What made you decide to start playing? I am very thankful to my physiotherapist who convinced my mother to allow me to get into a power wheelchair because without it I wouldn’t be have been able to participate in a wide variety of activities independently. A few weeks later, my physiotherapist brought up something called “power soccer,” in a conversation and she recommended that I should contact the coach to see if I could come and watch and even participate. Ever since that visit to the gym in West Vancouver, I have been working my way up from playing at a recreational level to a National level. I am now playing at an International level. My friend who plays Boccia has tried to convince me to try the sport out but I have been busy with school, playing PowerChair Football (formally known as power soccer), and I find that I don’t have enough time to compete in another sport. The Vancouver Canucks would be my favorite NHL team, and the Vancouver Whitecaps (so original, I know). I would have to say that getting the opportunity to travel to Paris and sit underneath the Eiffel Tower was my favorite travel moment. I am a very active person, so I love hanging out with my friends, going swimming and riding my bike if the weather permits. I also like to play video games when I am feeling unmotivated. I like keeping up with technology when I can, so I’m constantly researching new devices that are on the market. Funny, compassionate, and easy going. I have an amazing sense of humor, love to help others, and am usually laid back and tend to go with the flow. I feel as though all of these qualities help me deal with my daily struggles. I believe the last one I saw was the Hunger Games and it was average. This entry was posted in News & Announcements, Power Soccer. Bookmark the permalink.